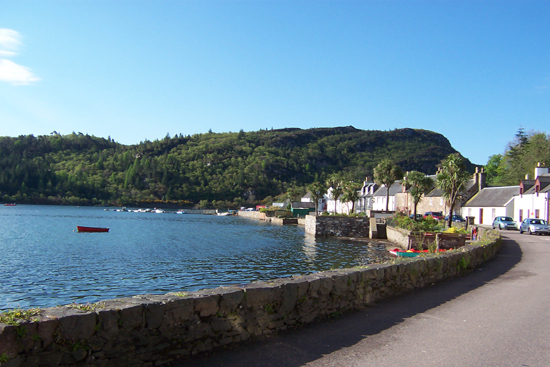 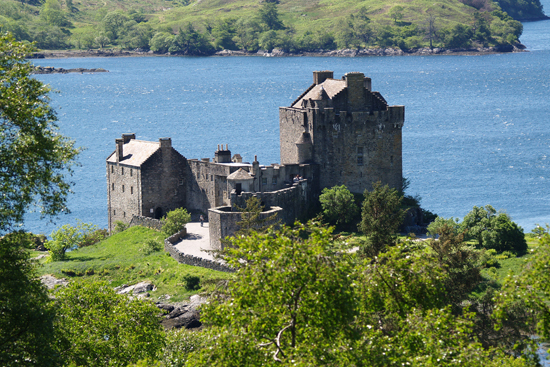 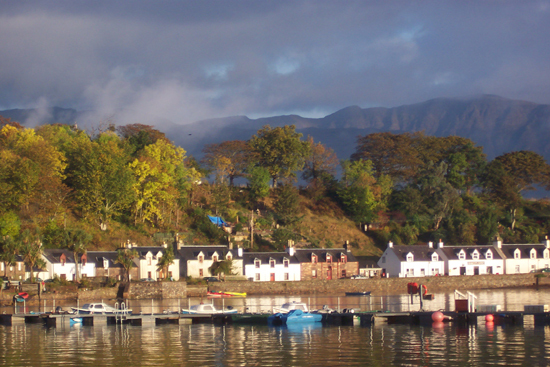 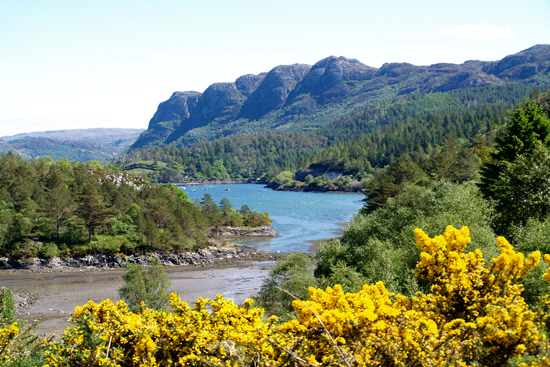 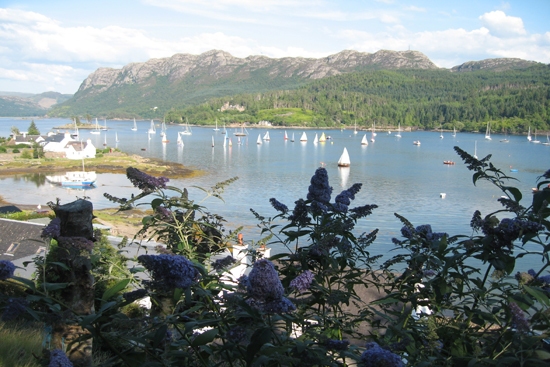 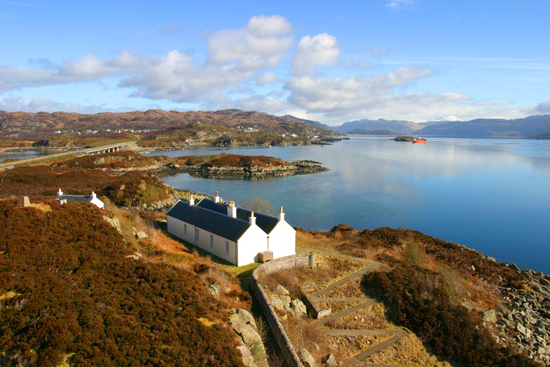 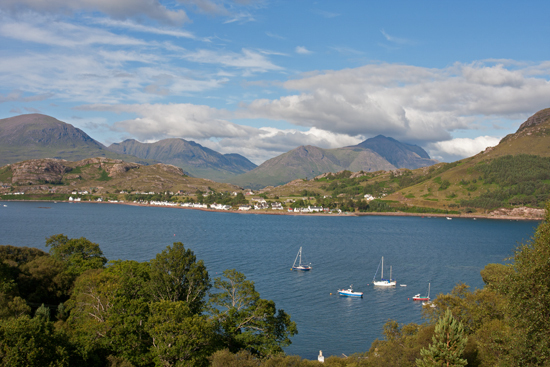 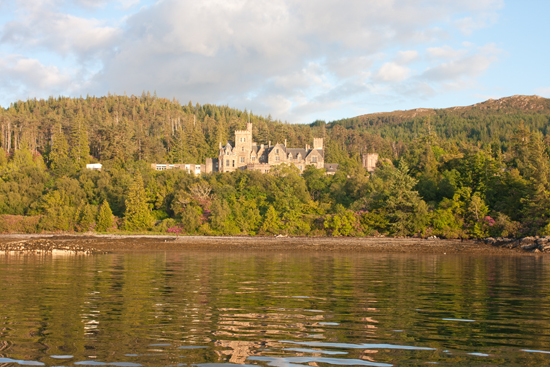 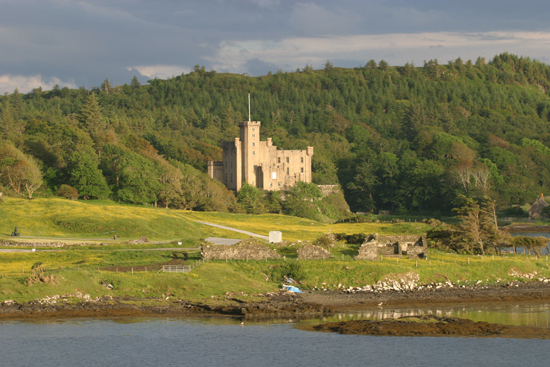 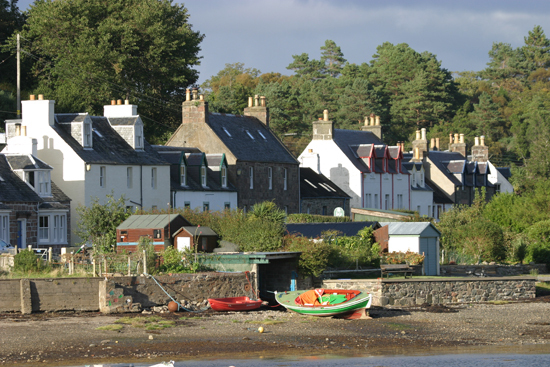 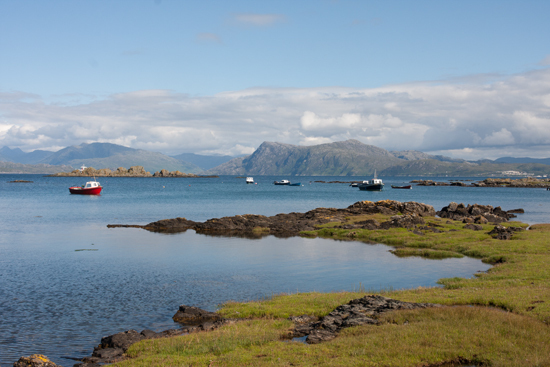 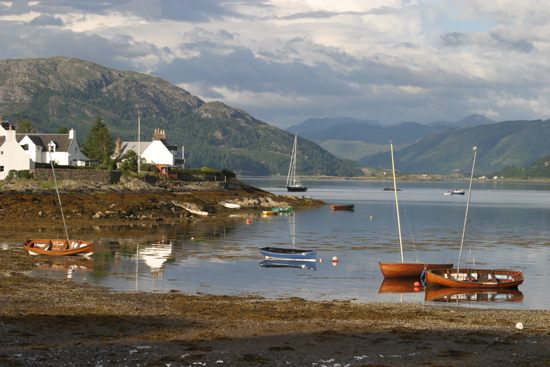 Not only is Plockton nestled at the end of a narrow country road overlooking the calm waters of Lochcarron, the famous Plockton Crags and the Applecross Mountains beyond, but it is at the centre of Scotland's amazing west coast, the finest holiday destination in the country. 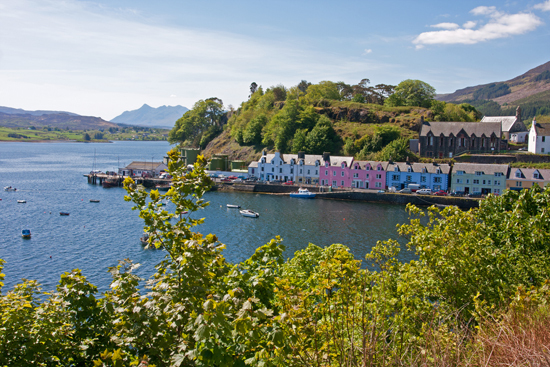 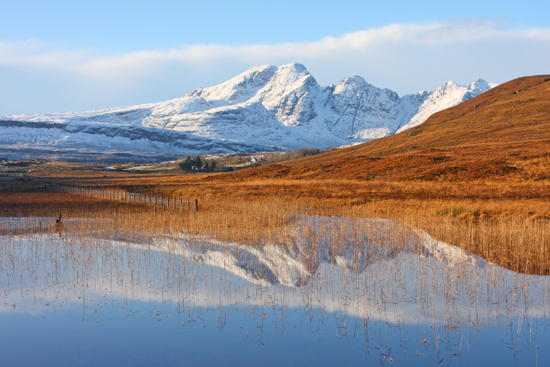 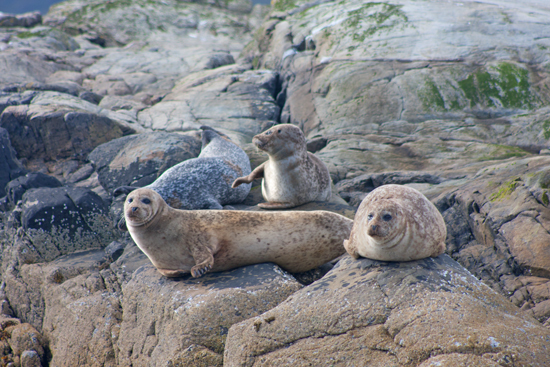 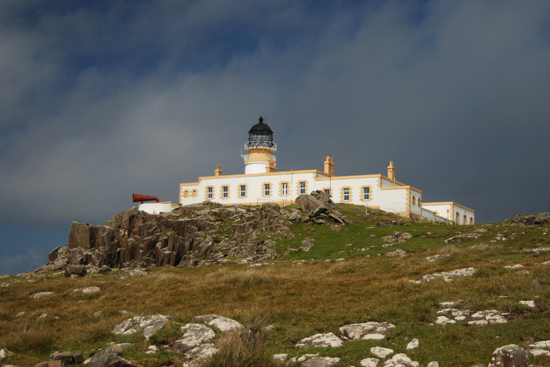 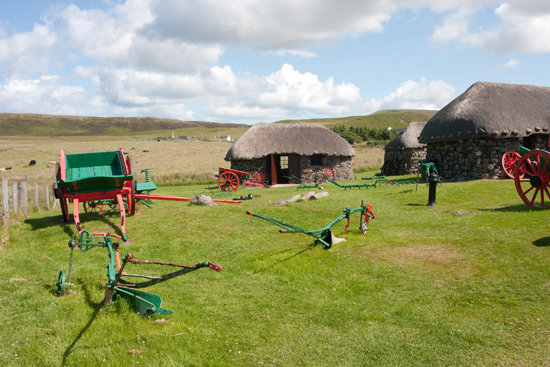 At every corner there is a stunning view, with ever-changing weather, beautiful colours and a warm welcome. 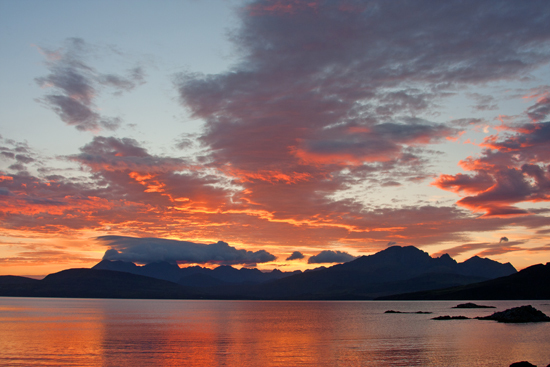 No one day is ever the same, with sometimes all four seasons appearing in one day, and occasionally in one hour! 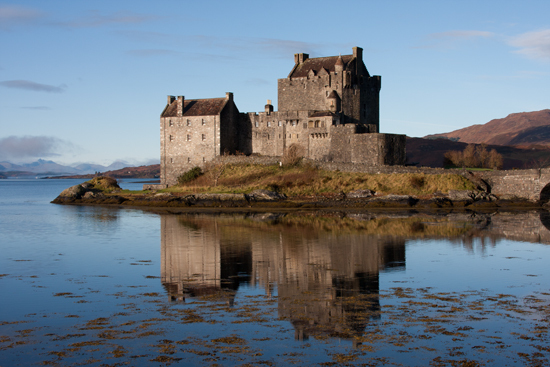 You'll never take a bad photo in our part of the world, so don't forget to bring your camera, plenty of memory cards, and take home some memories of a lifetime. 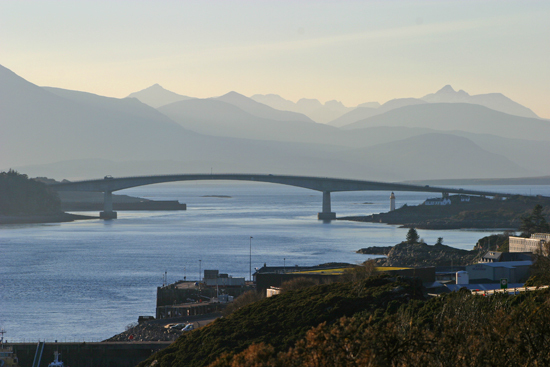 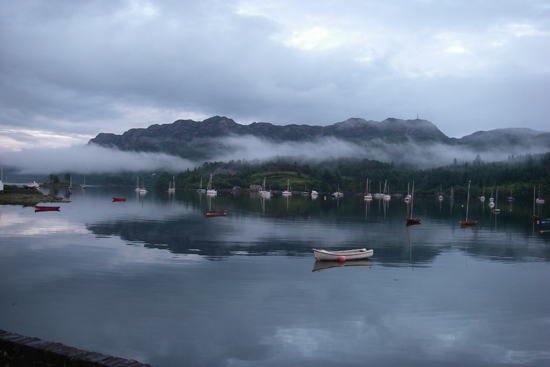 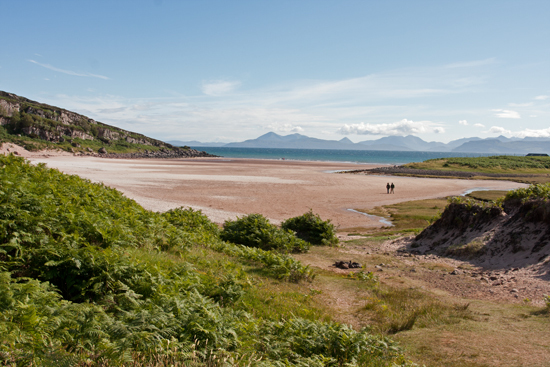 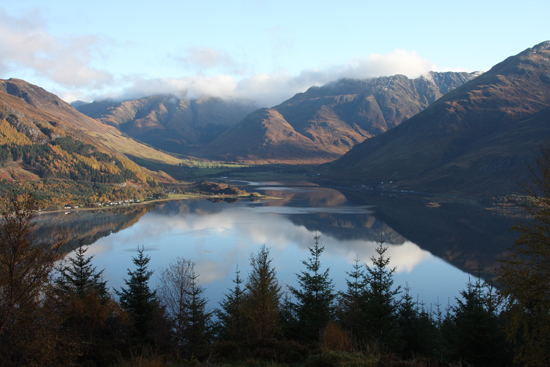 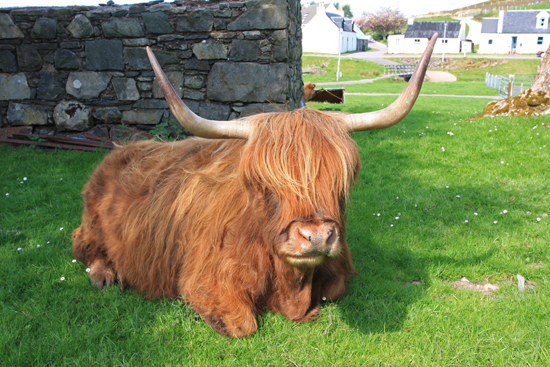 And if you want to what it's like in Plockton right now then click on our webcam and get a taste of the Highlands! 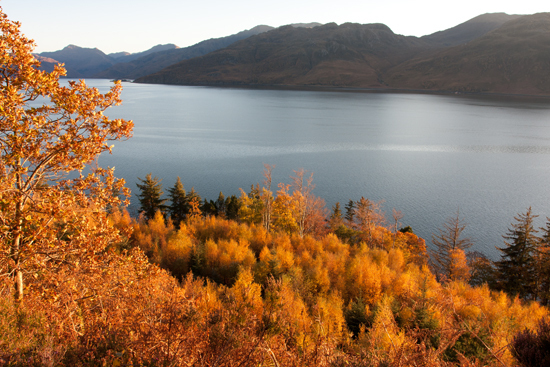 Enjoy our gallery of pictures from around the area, click on an image to see a larger photo and then click the arrow to see the rest. 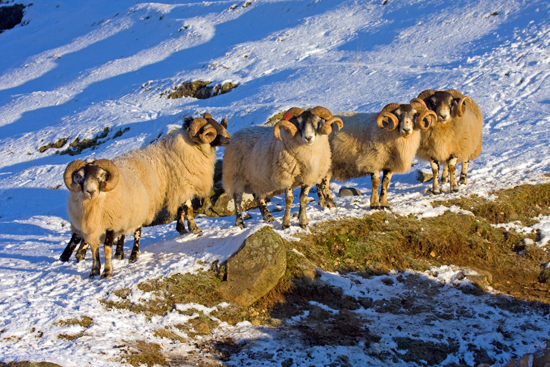 Our sheep are a hardy lot! 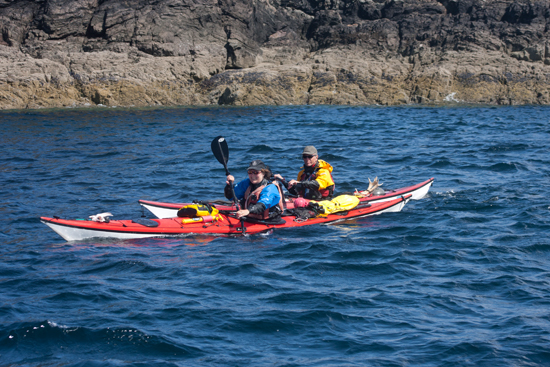 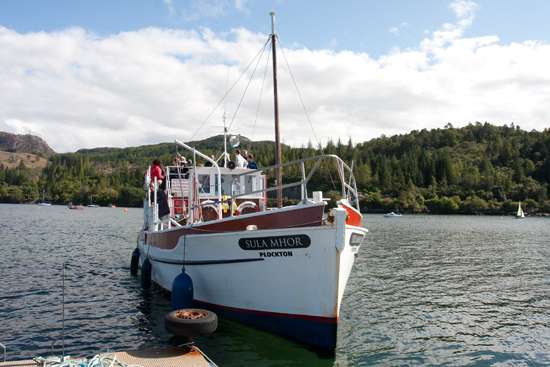 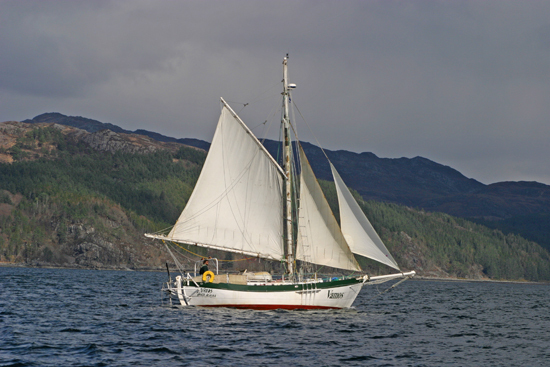 Some of the cruising waters in Scotland, this boat came from Alaska! 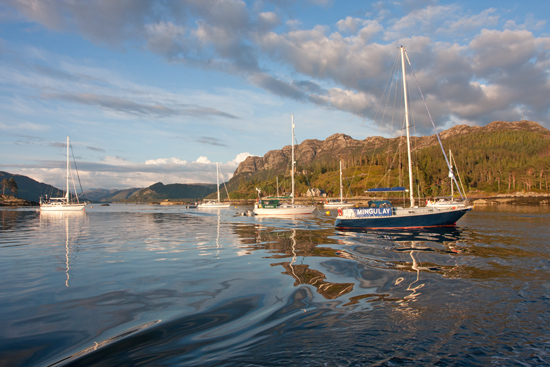 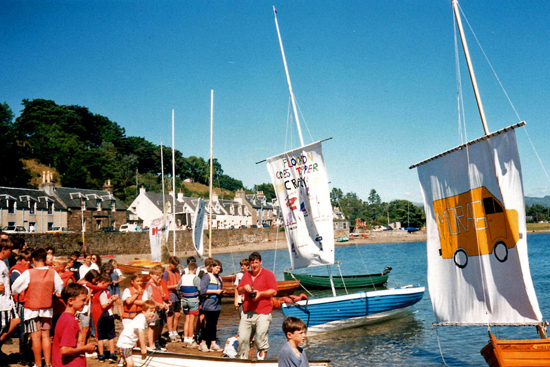 Plockton is a haven for yachts of all sizes!